Sony is showcasing a prototype of a 55" Crystal LED display at CES 2012. This screen technology sounds a lot like OLED, but with LEDs. The prototype offers a 1920 x 1080 pixel resolution, a brightness of around 400cd/m², a viewing angle of approximately 180 degrees, a contrast "beyond measurable limit values", and a power consumption (of the panel module) of under 70W. Sony Corporation ("Sony") today announced that it has developed the next-generation self-emitting display, "Crystal LED Display", and presents a Full HD, 55-inch prototype model at the 2012 International CES (International Consumer Electronics Show held in Las Vegas, Nevada, from January 10 - 13, 2012). 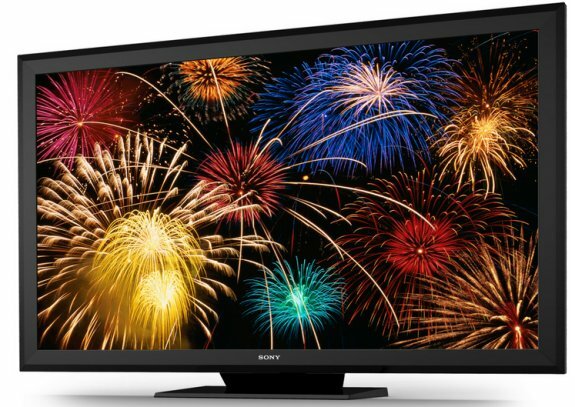 It is the industry's first 55-inch Full HD self-emitting display using LEDs as the light source. The "Crystal LED Display" is a self-emitting display that uses Sony's unique methods to mount ultrafine LEDs in each of the Red-Green-Blue (RGB) colors, equivalent to the number of pixels (approximately six-million LEDs for Full HD). The RGB LED light source is mounted directly on the front of the display, dramatically improving the light use efficiency. This results in images with strikingly higher contrast (in both light and dark environments), wider color gamut, superb video image response time, and wider viewing angles when compared to existing LCD and plasma displays, with low power consumption. Furthermore, due to the display‟s structure, the "Crystal LED Display" is also ideal for large screens. Compared to existing LCD displays, the 55-inch prototype exhibited at CES is boasting approximately 3.5 times*1 higher contrast in light environment, approximately 1.4 times wider color gamut, and approximately 10 times faster video image response time (all values based on current Sony models). Sony envisages a wide range of applications for its "Crystal LED Display", ranging from professional to consumer use. Parallel to its continued development and commercialization of organic light emitting diode (OLED) displays, Sony will work conscientiously to bring the "Crystal LED Display" to market.